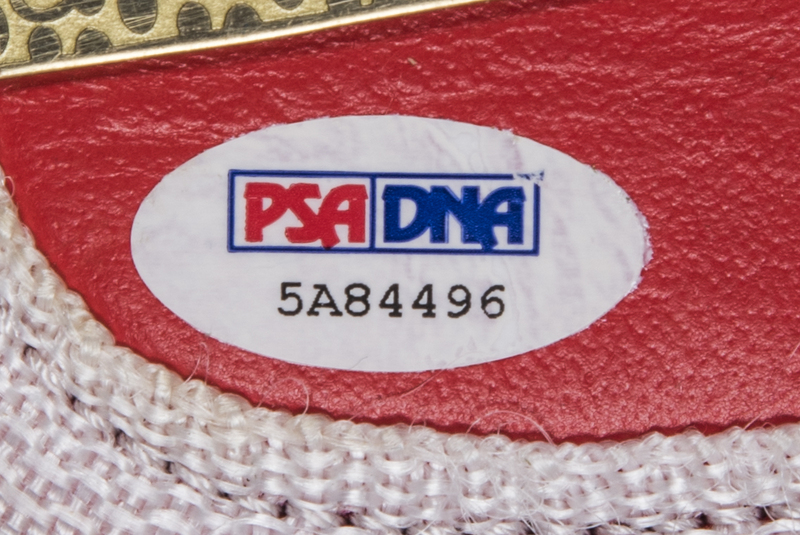 The superstar boxer Mike Tyson has signed this International Boxing Federation belt. Tyson, nicknamed “Iron Mike”, battled to a career record of 50-6 with 44 of his wins coming by knock out. This belt features a large IBF crest topped by a gold eagle and flanked by smaller gold accents. 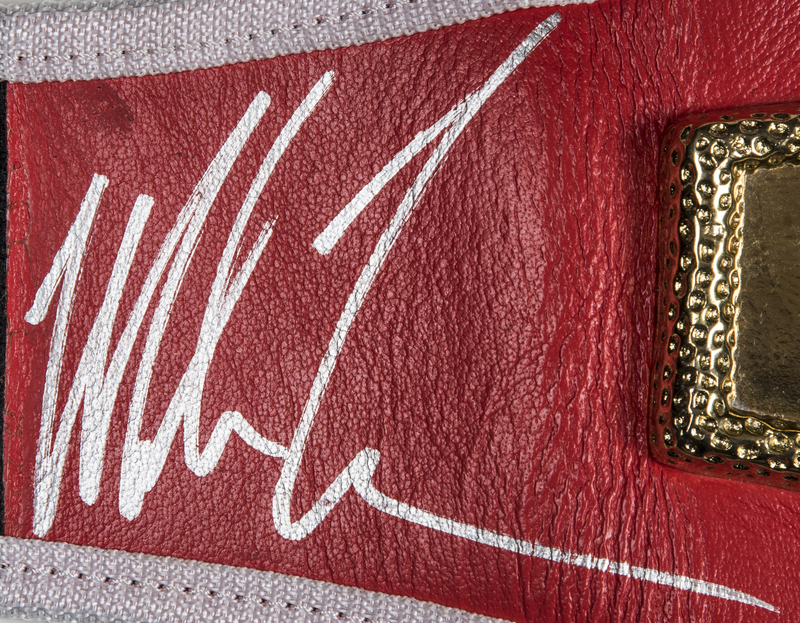 Tyson has signed this red leather belt in bold silver marker. 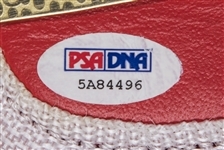 This item comes with a COA from PSA/DNA (5A84496).